How Can Understanding Animal Behaviour Help Support Wildlife Conservation? 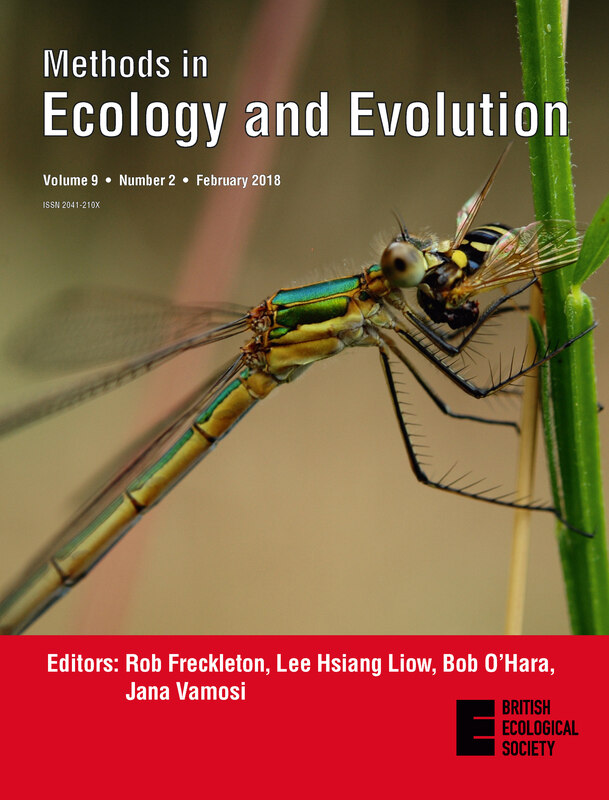 Below is a press release about the Methods in Ecology and Evolution article ‘A novel biomechanical approach for animal behaviour recognition using accelerometers‘ taken from the EPFL. Researchers from EPFL and the University of Zurich have developed a model that uses data from sensors worn by meerkats to gain a more detailed picture of how animals behave in the wild. Advancement in sensor technologies has meant that field biologists are now collecting a growing mass of ever more precise data on animal behaviour. Yet there is currently no standardised method for determining exactly how to interpret these signals. Take meerkats, for instance. A signal that the animal is active could mean that it is moving; alternatively, it could indicate that it is digging in search of its favourite prey, scorpions. Likewise, an immobile meerkat could be resting – or keeping watch. Quantifying animal movement is central to research spanning a variety of topics. It’s an important area of study for behavioural ecologists, evolutionary biologists, ecotoxicologists and many more. There are a lot of ways to track animals, but they’re often difficult, especially for people who don’t have a strong background in programming. Vivek Hari Sridhar, Dominique G. Roche and Simon Gingins have developed a new, simple software to help with this though: Tracktor. This package provides researchers with a free, efficient, markerless video-based tracking solution to analyse animal movement of single individuals and groups. Download and start using Tracktor via GitHub. There’s a frustrating yin and yang to biological research: motivated by curiosity and imagination, we often find ourselves instead defined by limitations. Some of these are fundamental human conditions. The spectrum of light detectable by human eyes, for example, means we can never see a flower the way a bee sees it. Others limitations, like funding and time, are realities of modern-day social and economic systems. Early career researchers (ECRs) starting new projects and delving into new research systems must be especially creative to overcome the odds. Large grants can be transformative, giving a research group the equipment and resources to complete a study, but they’re tough to get. Inexperienced ECRs are at a disadvantage when competing against battle-hardened investigators with years of grant writing experience. Small grants of up to about $5000 USD, on the other hand, are comparatively easy to find. So, how can ECRs make the most of small, intermittent sources of funding? As human impacts on the world accelerate, so does the need for tools to monitor the effects we have on species and ecosystems. 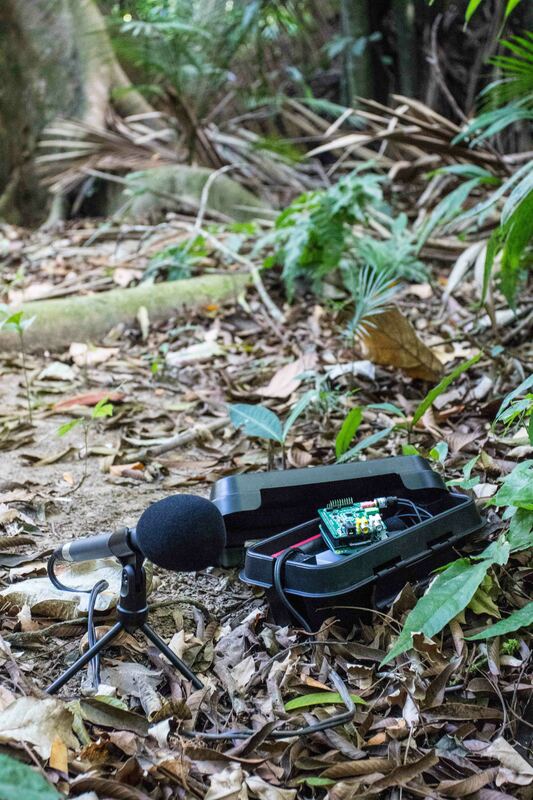 Alongside technologies like camera traps and satellite remote sensing, passive acoustic monitoring (PAM) has emerged as an increasingly valuable and flexible tool in ecology. 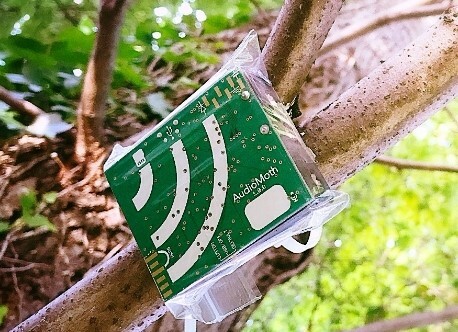 The idea behind PAM is straightforward: autonomous acoustic sensors are placed in the field to collect audio recordings. The wildlife sounds within those recordings are then used to calculate important ecological metrics – such as species occupancy and relative abundance, behaviour and phenology, or community richness and diversity. Using sound to monitor ecosystems, rather than traditional survey methods or visual media, has many advantages. For example, it’s much easier to survey vocalising animals that are nocturnal, underwater or otherwise difficult to see. Also, because acoustic sensors capture the entire soundscape, it’s possible to calculate acoustic biodiversity metrics that aim to describe the entire vocalising animal community, as well as abiotic elements in the environment. 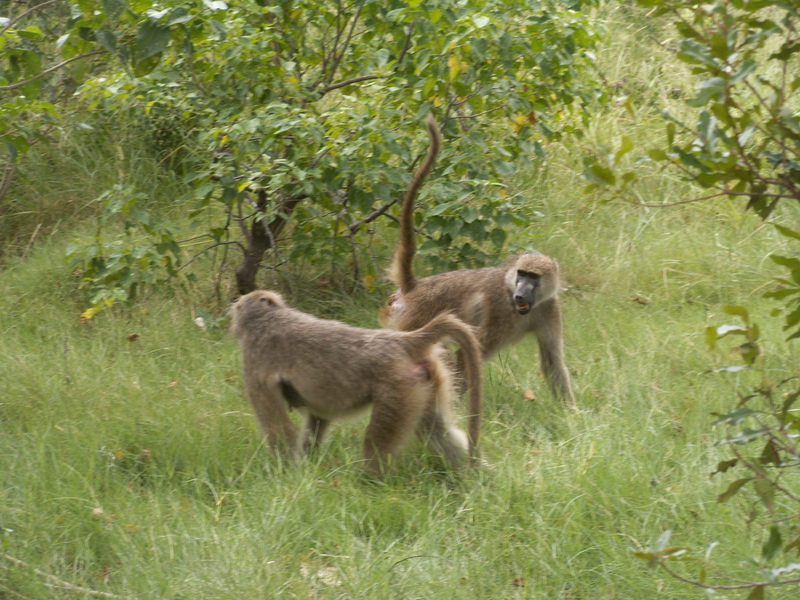 A female chacma baboon (rear) signals her submission to another female by raising her tail. ©Julia Fischer. Anyone who studies social animals in the wild (or human groups, for that matter), will soon find that some individuals threaten or attack others frequently, while others try to get out of the way or signal their submission in response to aggression. Observers tally the outcome of such aggressive interactions between any given two individuals (or ‘dyads’) and try to deduce the rank hierarchy from such winner-loser matrices. One drawback of this approach is that all temporal information is lost. Imagine Royal, a baboon, dominating over Power, another baboon, 20 times, and Power dominating over Royal 20 times as well. If we just look at these data, we might think that they have the same fighting ability and similar ranks. But, if we know that Royal beat Power the first 20 of the interactions, then Power beat Royal in all further interactions, we’d come to a totally different conclusion. We’d infer that Power had toppled Royal and a rank change had taken place. How do Rank Hierarchies Change Over Time? Researchers are increasingly interested in how social behaviour influences a range of biological processes. 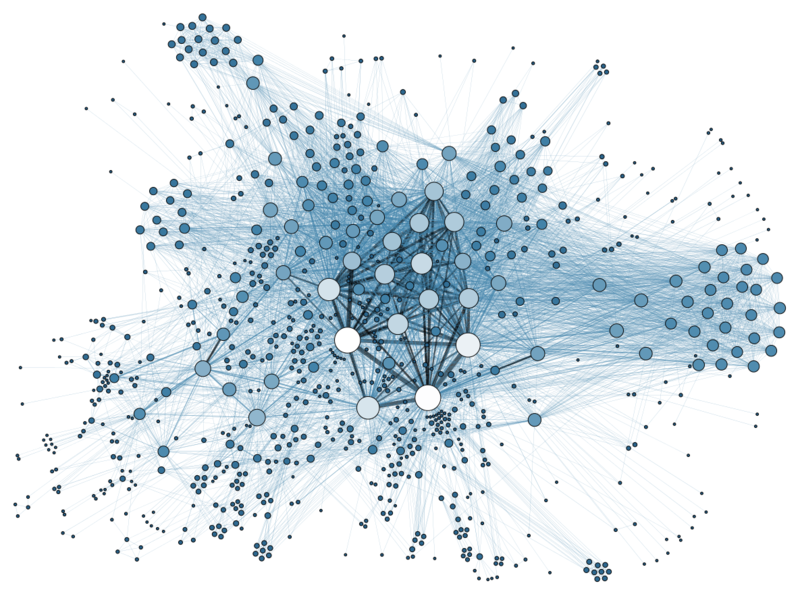 Social data have the interesting mathematical property that the number of potential connections among individuals is typically much larger than the number of individuals (because individuals can interact with every other member of their group). This introduces a huge challenge when it comes to collecting data on social interactions—not only does the amount of data needed increase exponentially with group size, the data can also be more difficult to record. Larger groups have more simultaneous interactions, making it harder for observers to capture a complete or representative sample. It’s also more difficult for observers to tell individuals apart in larger groups. Coloured markers are often used to distinguish different members of a group – the bigger the group, the more complex the markers are needed. Ecologists have long been fascinated by animal sounds and in recent decades there’s been growing interest in the field of ‘bioacoustics’. This has partially been driven by the availability of high-definition digital audio recorders that can withstand harsh field conditions, as well as improvements in software technology that can automate sound analysis. Animal biologging is a technique that’s quickly becoming popular in many cross-disciplinary fields. The main aim of the method is to record aspects of an animal’s behaviour and movement, alongside the bio-physical conditions they encounter, by attaching miniaturised devices to it. In marine ecosystems, the information from these devices can be used not only to learn how we can protect animals, many of whom are particularly vulnerable to disturbance (e.g. large fish, marine mammals, seabirds and turtles), but also more about the environments they inhabit. Many marine animals have incredibly large ranges, travelling 1000s of kilometres. A huge advantage of biologging technologies is the ability to track an individual remotely throughout its range. For animals that dive, information on sub-surface behaviour can be obtained too. This information can then be retrieved when an animal returns to a set location. If this isn’t possible (e.g. individuals that make trips that are too long or die at sea), carefully constructed summaries can be relayed via satellite. This option provides information in real time, which can be very useful for researchers. Tracks of juvenile southern elephant seals. Red tracks are individuals that returned to their natal colony. Grey are those individuals whose information would have been lost had it not been transmitted via the Argos satellite system.